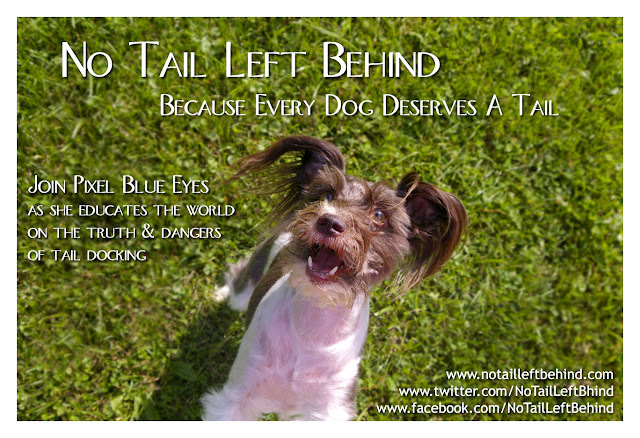 These are the two newest "No Tail Left Behind" posters that I have made for our campaign to educate about the dangers and terrible side effects of tail docking. I'd love your input on them. Pixel's eyes say it all here. She was going through a rough time with tail pain, and I just wanted to capture what she was going through. Her eyes just seem to say, "Make it stop Mommy." I was doing all I could to help her at the time. 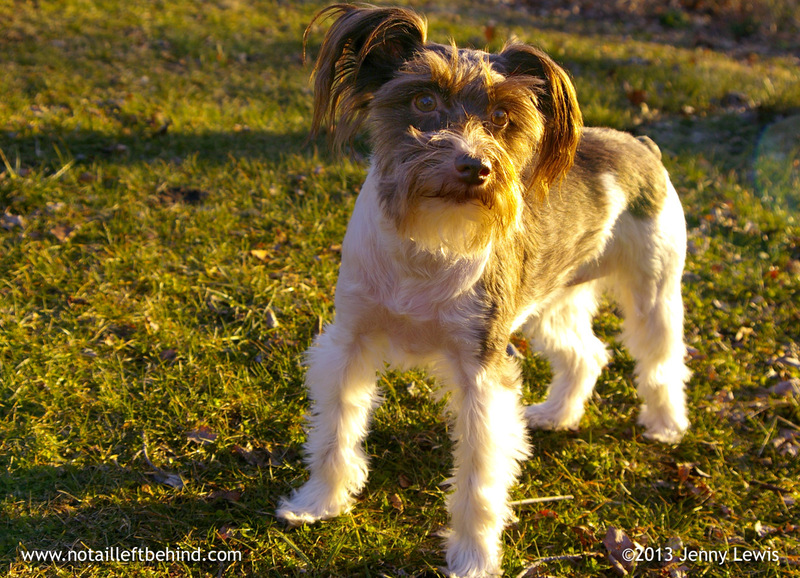 Pixel's story and her smile are both compelling. I wanted to have a poster that engaged people and would make them want to come visit the page and blog. We are here to educate, share information and help others. Please help us spread the word by sharing our posts from Facebook and Twitter, sharing our blog posts & posters, and most importantly, sharing our message. You can share this post with the 'share' tools to the right of this post. 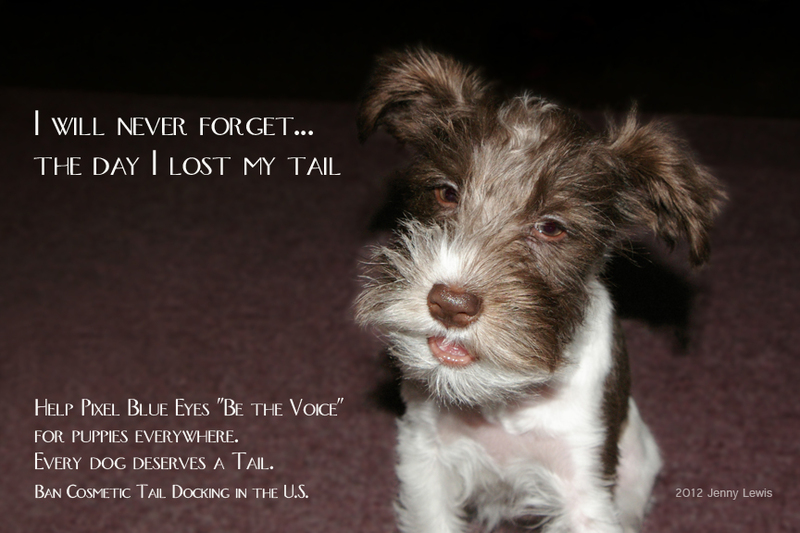 We believe that every dog deserves a tail! 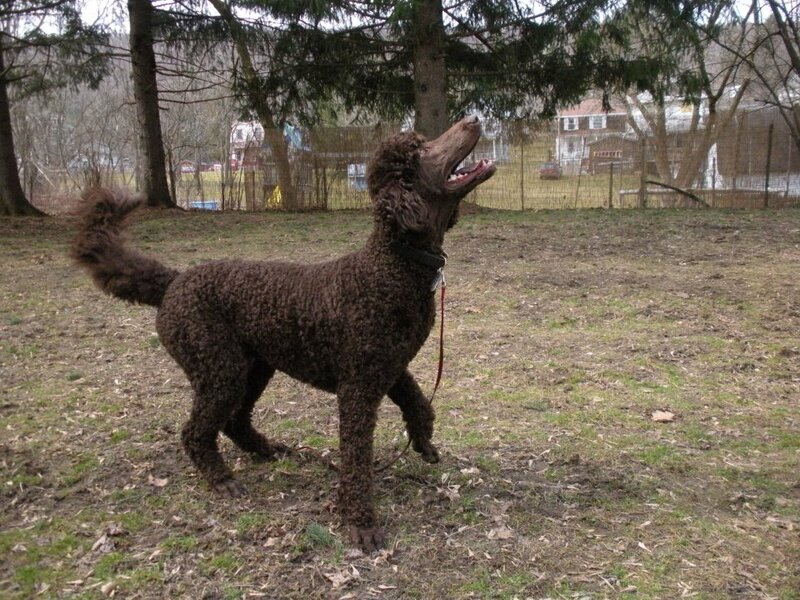 Most people in the U.S. are used to seeing certain breeds with docked tails. It has been "done" for so long, that no one even thinks twice about it. 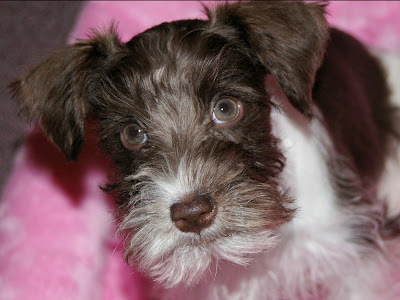 More often than not, anyone who has an individual dog who has puppies will get the tails docked because "that's just what you do when you have a mini Schnauzer, doberman Pinscher, Yorkie, <insert other dog breed here>". Quite often, most people actually think that certain breeds are born with shorter tails. 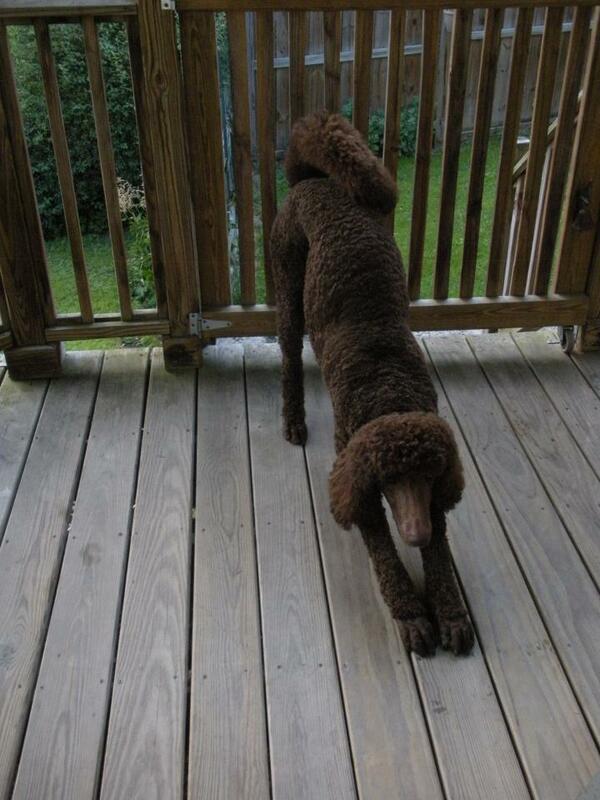 Poodles are one such breed. I myself never knew that they actually were born with very long, beautiful tails. Several "No Tail Left Behind" supporters are breeders who used to dock the tails of all their puppies. These supporters include poodle breeders and other dog breed 'breeders'. The following is a direct quote from a poodle breeder who has been a supporter of No Tail Left Behind since we began: "I breed standard poodles and we haven't docked litters in a long time. I will never hack a tail off again and I will always promote leavings tails. Pups with their natural tails walk earlier and have more stable locomotion. When their tail is docked, not only is it cruel but it triggers an immune system response that should not be happening at such a young age, especially if it is intentional." THANK YOU LAURA BERNIER!! You are a real gem, and No Tail Left Behind's spokesdog, Pixel Blue Eyes, can't help but smile at this! Normally, when people find out that something they are doing is hurting another living being, they want to find a better way so that those living, breathing creatures can thrive and not suffer. It is a common response to choose to do things differently once danger, or threat of serious injury, is discovered to be happening. I have heard from numerous breeders who no longer dock their puppies tails, and all of them have had nothing but great responses from customers. That is why No Tail Left Behind is here. Together, we can change the basic views of people. If all you ever see are docked tail dogs, you will think that is the norm and the only option. I've had so many people tell me, "Oh my God, I never knew!" (regarding how harmful tail docking is) and immediately wanted to start spreading the word on the negative effects of tail docking. Just remember though, that if you see someone with a docked tail (or ear cropped) dog, they might not be the ones who either got the dog docked or did the deed themselves. We cannot, must not, vilify people who already have docked tail dogs. After all, I have a docked tail dog, and didn't know much about docking at all until after I was adopted by a little dog with blue/green/hazel eyes. 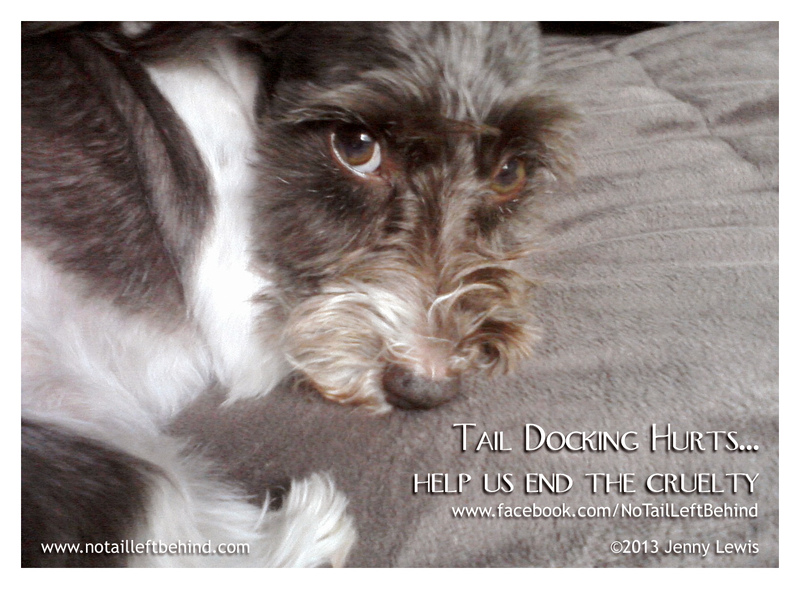 Let's help to educate others about the dangers, risks and negative side effects that tail docking brings, and then let us work together to bring about change for puppies not yet born by helping to ban tail docking in the United States. Please share this post, share my Facebook posts, and talk to people. Don't forget the information from the breeder whom I quoted earlier in this post. Undocked puppies develop better and have less problems than puppies with docked tails.